While it may still be chilly where you live, there’s no doubt that Spring will be here before we know it. That means only one thing: It’s time to gear up for a change of wardrobe and of course, nail color! Fall and Winter saw us painting on some pretty luxurious shades of caramel and darker jewels. These were excellent for driving away the cold and getting us to feel all warm and festive for the holidays. For Spring, however, these may be just a tad too overwhelming. For a brighter and lighter feel, you might want to think of transitioning from the darker, richer shades to those which resemble candied almonds and Easter eggs. It’s time for a change! Spring is all about color bursting forth from the earth. Get into a brighter and more cheerful mood by painting on some sweet pastels and bright pinks. 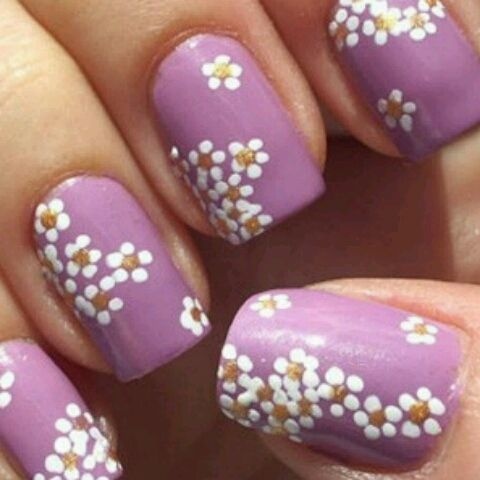 If you can pull it off, you might even want to combine colors or use different shades for a bit of nail art! Remember how we told you all about the Color of the Year for 2011? Well, this season, you can certainly be in fashion by picking out a honeysuckle polish. OPI’s Flower to Flower comes very close to this year’s most happening hue. For something a bit more subdued, Orly’s Chantilly Peach makes a great substitute. It gives just the right sort of gloss with a bit of sweetness. It’s a really good option for those who want to wear a bright color without being too loud. On the other hand, Essie’s French Affair, which is a mix between lavender and pink, adds just a bit of mystery without losing the playful vibe of the season. For a refreshing, citrusy boost of color, there’s Lemon Fizz by China Glaze. What’s great about this color is that it suits a lot of skin tones, because it’s bright enough to look alive, but the shade isn’t too dark so as to make it look gaudy. If you want to channel the energy of the first bit of Spring sunshine, this is a great color for you. If pink is not your thing, but you still want to go for something light and playful enough for the season, why not go for blues and greens in their more pastel hues? For instance, OPI’s Breathe Life is a silvery-blue polish. It’s a great color to wear if you’re going for a light, airy vibe. Another cool shade to wear is mint green. Re-fresh Mint by China Glaze is definitely the way to go for those who like this color. It’s the best shade for those who’d like to welcome the green of Spring without succumbing to a grass-stained look. Of course, there are just some colors that never go out of fashion, regardless of the season. Even as you go out and get those pretty pastels, make sure you still have a couple of bottles of the indispensables. Nudes and reds just look beautiful and classy, period. If you want a relatively neutral color that still suits your Spring mood, check out Essie’s Sand Tropez. To distinguish from the deeper, more jewel-toned reds that were all the hit during Fall, try to go for a brighter shade of red with the tiniest hint of orange. Orly’s Haute Red might do just the trick. Changing your nail color is one of the easiest, most effective ways to change your look and mood. In the coming season, make sure you don’t miss out on the opportunity to liven up your appearance by experimenting with some new colors. More importantly, don’t forget to have fun and flash those new nails with confidence!